"We don’t read and write poetry because it’s cute. We read and write poetry because we are members of the human race. And the human race is filled with passion. Medicine, law, business, engineering, these are noble pursuits, and necessary to sustain life. But poetry, beauty, romance, love, these are what we stay alive for. To quote from Whitman: ‘O me, o life of the questions of these recurring, of the endless trains of the faithless, of cities filled with the foolish. What good amid these, o me, o life?’ Answer: that you are here. That life exists, and identity. That the powerful play goes on, and you may contribute a verse. What will your verse be?" The above quote is from the scene in Dead Poets Society, in which the teacher, played by Robin Williams, instructs his stunned students to tear the first pages out of their poetry books. What I love so much about this scene is the way Williams’ character points out the difference between focusing our attention on what we’ve been told to think (such as how to evaluate the merits of a given poem), and focusing our attention on our own unique thoughts and feelings. There is tremendous value in your unique perspective of every seemingly ordinary experience in life. Your individual way of interpreting the world is so unique to you that even if someone else were to have the identical experience of the same sounds and colors, they would feel and think differently. This unique perspective, known in the field of consciousness as "qualia," represents the way that identical sensory and experiential inputs are interpreted and received differently by different observers. Who we are and how we think can be highly unique, resulting in a society of citizens with individual ideas, thoughts, and feelings. Learning to recognize and embrace your unique viewpoint can help you discover what most inspires you and how you can connect with your unique purpose in life. 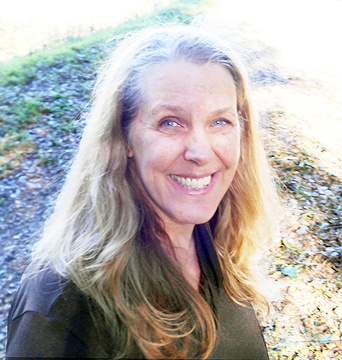 When I left home to attend college at UC Berkeley, I began my process of self-discovery. A big part of my journey included taking classes that opened my eyes and mind to new ideas about who I am. My primary interest was—and still is—the nature of reality, so I majored in physics while taking as many psychology classes as possible. If there had been a Quantum Consciousness class at UC Berkeley as there is now, I surely would have enrolled—but since there wasn’t anything like it at the time, I learned as much as possible everywhere I could. 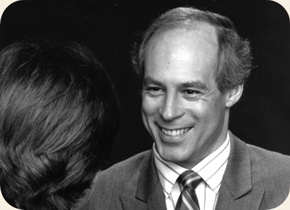 A major influence on my life while I was getting my degree in physics from UC Berkeley was watching Jeffrey Mishlove’s Thinking Allowed television program. I didn’t watch much television, but I eagerly looked forward to tuning in to my local PBS television station every week to see Jeffrey interview some of the most fascinating individuals in the field of consciousness, including: Dean Radin, Huston Smith, Rupert Sheldrake, Michael Talbot, Charles Tart, and Fred Alan Wolf. Thanks to listening deeply to some of the remarkable ideas presented in the Thinking Allowed interviews, I questioned many of my long-held beliefs, and began what has turned out to be a lifelong exploration of ideas in the field of consciousness. While I continued my education and went on to earn my MBA degree, I found my most inspirational instructors in business school to be the ones who encouraged students to think for ourselves, and question our most deeply held beliefs. These professors taught me that creativity is possible when we see the world from new perspectives, letting go of old viewpoints in favor of more comprehensive conceptualizations. 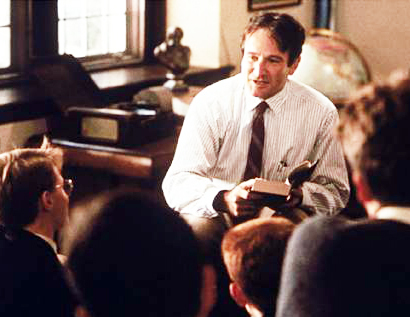 When Robin Williams’ character asks his students, “What verse will you contribute?” he invites each of us to explore the way each one of us uniquely contributes to the world, thanks to our unique viewpoint, experiences, perspective, and passion. Another way to ask this question that might be easier to answer is, “What’s your song?” Chances are that if you ask yourself to think of a song that describes the chapter of the story of your life right now, whatever comes to mind may be exactly the right thing. While school may or may not provide you with the means for inner and outer transformation, the benefits of feeling a sense of being on fire with doing and being what you love cannot be overstated. You can see the difference between a person who is living the life of their dreams and someone who lives as if disillusioned, merely going through the motions, as if on autopilot in a boring rerun, in which each day seems emptier and less meaningful than the day before. You may initially crave a life of practical realism, emulating those who seem powerful and successful, but at some point if you lack a sense of inner meaning, a yearning deep within you for a life transformation calls, beckoning you to contribute your verse of poetry to the world. So how is such transformation possible? We can find clues in what has been happening with our institutions of higher learning, discovering how and why they can no longer be counted on to provide us with a deep, burning inner sense of purpose. I’ve read two books recently that do an excellent job of pointing out what’s wrong with the university system today, and how we can take steps to improve the system. These books point out that universities today are now being run like corporations focused exclusively on churning out products–employable graduates–that meet certain specifications, with the end goal of ever-increasing profitability, rather than ever-improving sense of ethical goodness in humanity. Crisis dramatist and playwright Phyllis Helene interviews Cynthia Sue Larson about her best-selling book, Quantum Jumps, talking about how to empower young adults to stand for excellence and overcome challenges in their lives. This conversation provides inspirational real-life examples of ways that young people can experience instantaneous positive transformation in their lives, as well as suggestions for ways parents, teachers, and mentors can help young people benefit from ideas from quantum physics. Hello Cynthia, I've been reading your site and books off and on for years. I've had many reality shifts, some of which I sent to your reality shifting stories a couple decades ago, but which they disappeared from there a long time ago. (I doubt I could reproduce the details again now.) Anyway, the reason I'm writing now is because this year, while staying for a couple months at my sister's house in Iowa, I was startled to hear that Thanksgiving Day is always on the 4th Thursday of November. I was surprised because it has always been on the 3d Thursday of November, since I was old enough to know and remember such things. 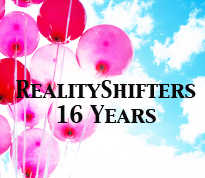 Then, this evening (Saturday, Dec 13, 2014) I was reading again in the YourStories section of RealityShifters/com website, on page 135, and found that someone else had reported the same change. I thought you might be interested that we both share that shifted memory and you are welcome to post my confirmation (edited if need be) with the original story, if you wish. Note from Cynthia: Thank you so much for writing to share your remembrance of Thanksgiving always being on the 3rd Thursday of every month. I see in my previous comments in the November 2013 RealityShifters that I did not mention myself recalling Thanksgiving Thursday falling on the 3rd Thursday of each month--yet now, in December 2014, not only do I clearly remember Thanksgiving "always" falling on the 3rd Thursday every November, but I also know this is why when I helped select a date to celebrate International Aura Awareness Day we intentionally avoided that busy holiday weekend when so many people travel, and that's why we placed International Aura Awareness Day on the 4th Saturday every November! So not only am I now joining you and Windy in remembering this rather significant difference, but I also have a memory indicator to accompany it. There is no reason I would ever intentionally place Aura Awareness Day on the same four-day holiday weekend with American Thanksgiving, since so many people are preoccupied with family activities at that time. Wow! In the early to possibly mid '90s, in the mountains of San Diego, California, my family owned a 66 acre ranch that was used as a religious retreat, and which could be accessed only by a narrow dirt road off Wildcat Canyon Drive as it crossed the Barona Indian Reservation. One day, as my late husband, Dave, and I were driving home from a trip to town on that road towards the ranch, we saw one of the other families that rented a mobile home on the ranch driving out on the same road. The driver, a lady friend of ours named Patricia, and all her family in the car were staring at us like they were in shock. There was a steep drop off on our side of the road and the side of the mountain went up on their side of the road, so there was nowhere to drive but squeezing past each other on the road. The road was like that for about a mile going downhill towards the ranch from that point. We continued down the road to the ranch and drove directly to the mobile home we lived in when there. We had barely gotten out of our car when Patricia and her family came flying back, having turned around at the nearest wider spot in the road and rushed after us. They wanted to know how we had managed to get where we were when they passed us on the road, since they had just been visiting with us at our mobile home and had left us standing there a minute earlier as they drove off heading towards town. There was no possible way for us to have jumped in our car and raced to that spot by a different route in order to surprise them coming the other direction. In this case, I suppose the reality shift was actually Pat's and her family's, rather than ours. We knew about it only because they told us immediately afterwards. I have absolutely no doubt that they were telling us the truth as they experienced it. I've experienced many strange events in my life, but I'm not sure exactly how to categorize some of them. Lots of the alive again remembrances of various famous people that so many other people also remember as having died. Time being earlier than it was and many others. I will go ahead and write about some of them soon and send them in. I have never assumed that my stories were removed from the site deliberately. I always figured that they had shifted away, or more precisely that I had shifted into a reality in which I never posted them or some sort of glitch happened to my submission after they were posted. Connecting with your work and receiving validation of the fluid nature of our reality has been one of the biggest blessings of my life. It's been a relief to be able to tell others that there's a website and books devoted to the phenomenon, when discussion of odd events comes up. Blessings to you and yours. 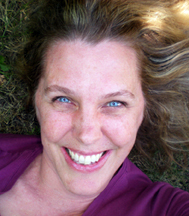 Note from Cynthia: Thank you so much for sharing this account of hearing from your friends how amazed they were that they had seen you on the road in a place they knew must have been impossible for you to be, since they'd just seen you at your home a short while earlier, and there was only one (very narrow) route by which you could have gone--and they were traveling it at the time! I am especially intrigued by your account, since you mention this is a reality shift experience you'd submitted years earlier to me which you noticed was no longer on the site. I did not remove it, and indeed, it seems likely to me this provides us with evidence of a reality shift / quantum jump being involved. I don't currently recall having seen your wonderful experience before, and I'm sure I would definitely remember it, due to the memorable aspects of the story itself and the way it happened where it did in the San Diego mountains. With regards to sending positive information back to my past self, would that result in an instant change in the present, eg: different life, circumstances, job, etc? Also, could it be possible to meet a possible future version of myself depending on the choices I make NOW? I have purchased your book, Quantum Jumps, but not got round to reading it yet, due to depression (it's been bad lately) and my quarter life I've been having since reaching my mid 20s, just feel I've missed out on a lot and not made good choices and not taken any risks and only played it safe. It's something I can't seem to get through despite seeing a counsellor. Do you think reading your book and doing the things mentioned in it will help me overcome these issues? Thanks so much for writing! When you send focused positive energy in the form of thoughts and feelings (such as blessings and heart-felt gratitude) to your past self, you can potentially observe immediate benefits--to the degree your mind is willing to accept. Much depends on your subconscious sense of what is possible, which you can improve by reading lots of the first-hand reports of reality shifts such as can be found on the realityshifters website at: http://www.realityshifters.com/pages/yourstories.html Yes, it can be possible to meet (through lucid dreams, daydreams, meditation, astral travel) a version of your possible future self. 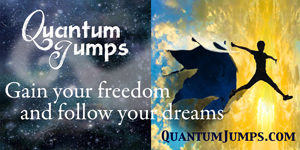 With regard to overcoming depression, my book Quantum Jumps can help you once you start pulling yourself up by the proverbial bootstraps (to the point you can read a book). One fast way to start the bootstrapping is to bless yourself and your life. You can say this blessing aloud, as I am now saying it aloud for you, "Bless Neel, and bless Neel's life and Neel's future. Bless Neel's health and wellbeing. Bless Neel's wonderful heart, and his ability to find his way forward to his best possible life. Bless Neel's home. Bless Neel's friends and family. Bless everything and everyone around Neel, including his neighbors and the community in which he lives. Bless Neel's beautiful shining spirit, and every cell and molecule and atom in his body." Thank you Cynthia for your e mails. I have a question for you: I know that we switch from parallel reality to parallel reality all the time unconsciously. The question is how can you do it consciously, voluntarily for specific purpose? I am sure you are aware of the implications of being able to do so. I' d love to hear your comments on this issue. I agree with your statement that we mostly switch between parallel universes without conscious awareness, becoming aware of some of these quantum jumps and reality shifts after the fact. The best way to bring such subconscious processes into conscious awareness is through regular steady practice of becoming aware of oneself as consciousness--rather than as physical being--through meditation or lucid dreaming. I share ways to do this in my books, Reality Shifts and Quantum Jumps. I do not know if you have heard about reality loops. Like the Moebius strip. Resembles the eight number laying horizontally. Sometimes I feel like I am stuck in a loop. The same things in life repeating themselves. And i can feel I have experienced these episodes before, Is it possible that a person can be trapped in a kind of loop or negative repetitive pattern due to unresolved problems or issues? Well. I believe so. For me, anxiety is a big "pattern anchor.” I do try to break the patterns but it is difficult. Any thoughts on the subject? In my book, Reality Shifts: When Consciousness Changes the Physical World, I've written about repeating sequences of events, in which for example, a woman walks into a hotel lobby from the parking lot... and a few moments later, walks through again. It sounds like what you're asking about is something different, involving more of a sense of similar or familiar patterns occurring that are not actually identical, but reminiscent of prior experience. One of the things I do when working with clients is assist them in detaching from current pressures in their lives, in order that together we can see the "big picture." Often people experience repeating patterns, loops, or cycles due to unresolved stuck or blocked energies, and it can be helpful to take a few steps back and observe with compassion and acceptance what's going on--and then do some energetic clearing of stuck or blocked energies in order that forward growth and progress can continue again. 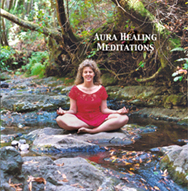 With regard to overcoming anxiety, I recommend practicing a heart-centered meditation, such as the one I created in Aura Healing Meditations, which is available as a CD or on iTunes as three separate tracks. Often the biggest blockage is one in which we prevent ourselves from receiving as much love and positive energy as is actually present for us, so taking time to clear out those blockages with such a meditation as Aura Healing Meditations can do wonders toward opening ourselves back up to envisioning and experiencing just how good it can get. 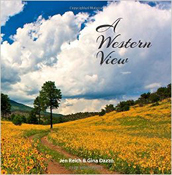 This little gem of a book playfully invites readers to "Take a look!" with its luscious cover photographs, and then--what a joyful surprise--there are more gorgeous photos inside! Even more delightful is the way poetry graces the pages accompanying corresponding photographs. This is a book that can be savored by either flipping through randomly, or reading systematically cover to cover. The poetry delves into spiritual territory, gently inviting us to contemplate deeper meaning in every moment. Some poems remind us that we are not alone, and that our family is much bigger than we typically realize. Others invite us to consider a new way of seeing ourselves and others in this world. This book is the perfect gift for the person who 'has everything,' yet can appreciate natural beauty in Nature and the still, quiet voice inside each and every one of us. Highly recommended! One Magisterium provides extraordinary insights into the current state of consciousness research presented by Foundations of Mind conference organizer, Seán Ó Nualláin. One Magisterium is an ambitious and complex book that goes beyond merely reporting on some of the most exciting scientific findings to directing our attention toward the importance of establishing a "noetic language" for each dimension of reality that we humans experience. Packed with frequent references to Ó Nualláin's previous writing and the works of many of the world's greatest philosophers and scientists, One Magisterium is a feast of big ideas as they come together in extraordinarily creative new ways at the frontiers of science where physics, philosophy, neuroscience, cognitive science, linguistics and biology intersect. Ó Nualláin is a visionary and academia survivor who makes the salient point that it is time to rethink the "magisterium"--the area of teaching authority to address the way scientific and religious truth have been dichotomized. It's all well and good to separate scientific facts from morality--up until the point that we see society and ecosystems unraveling from the damage from such schizophrenic double-think. Humanity needs a story describing the facts of existence that also includes a sense of morality and meaning. When meaning is divorced from knowledge, terrible things can--and do--occur. At this time when many of the world's finest institutions of higher learning are in danger of being detrimentally influenced by corporate and other types of controlling interests, many destructive category errors are being made as science attempts to cover higher achievements of subjective human experience. Rather than allowing the academy of higher education to continue sliding into various forms of disarray, Ó Nualláin suggests we consider a nobler goal of placing higher education in the care of those we entrust to do more than simply inculcate knowledge, but with those who improve our capacity to learn. Ó Nualláin explains, "Historically, both of these processes have occurred in a religious environment; it is not unfair to say that we have yet to work out how to frame the drive for understanding in a purely secular context." The framework of such a Magisterium thus provides a framework from whence noetic action, morality, and aesthetics reflect a hierarchy of value emanating from a Divine Source. Ó Nualláin calls for a new paradigm with the foundation of what he calls Bionetics, envisioned as being "the study of how we as biological organisms can come to know, including coming to know about the cosmos in the most abstract, mathematical sense." By examining the Mind as manifest in the context of interacting between organism, populations, and species with the environment through space and time, a harmonious creative fusion becomes possible. Who we are and how we connect with and communicate with other aspects of creation is becoming such an important matter that its study deserves better care than to be caught amidst the pointless battles between evolutionists and creationists, for example. There is sheer genius evident in One Magisterium's premise that the time has arrived for us to take heed of all we have learned and recognize the importance of levels of being; humanity's future depends on it. Higher education is urgently in need of reform, ex-Yale-professor Deresiewicz explains in EXCELLENT SHEEP. America's elite universities, including Yale, Harvard, and Stanford, are no longer the places of inner transformation they once used to be, but instead have become primarily concerned with their school rankings in US News & World Report. Now that universities are as concerned with their ranking as college-bound students have been with SAT scores, rather unfortunate trends toward grade-inflation, and admissions rejection inflation have become the norm. What Deresiewicz points out with clarity and wit is the growing gulf between student needs for genuine growth and discovery and the kind of factory processing that now occurs. A large number of elite university students, graduates, professors and administrative staff mock those who express interest in pursuing something other than the four areas of power majors comprising the majority of elite university courses of: Finance, Consulting, Medicine, and Law. Students at elite universities are so accustomed to running on an academic treadmill prior to university in order to attain the stratospheric GPAs and extra-curriculars required that they continue mindless momentum through college, often missing out on exploring opportunities to richly and deeply explore who they truly are. Deresiewicz suggests that we, collectively as a society, embrace the concept of the Academy as a learning institution dedicated to educate, inspire, and transform, free from the grips of corporatocracy. The specific details are left to readers to decide, as EXCELLENT SHEEP is written as a discussion piece designed to inspire conversations, rather than a cure for one or two specific problems. It seems clear that the problems illustrated in this book have more than one unique cause, such that the surrounding conditions must also be considered when contemplating a cure. I love Deresiewicz's passion and prose in EXCELLENT SHEEP, as well as the way he sounds a clarion call for institutions of true teaching and learning, in which thinking is respected, encouraged, and appreciated in instructors, students, and administrative staff. I recommend EXCELLENT SHEEP for students and parents investigating higher education options, as well as for teachers and academic administrators interested in improving the system of higher education.